These beauties are super quick and require no talent whatsoever. The two key criteria I look for in all my meals. Nutritional value and taste feature further down the list, but this recipe rocks those too. These beauties are all-round winners. And only 80 calories a pop (per the ingredients I used). 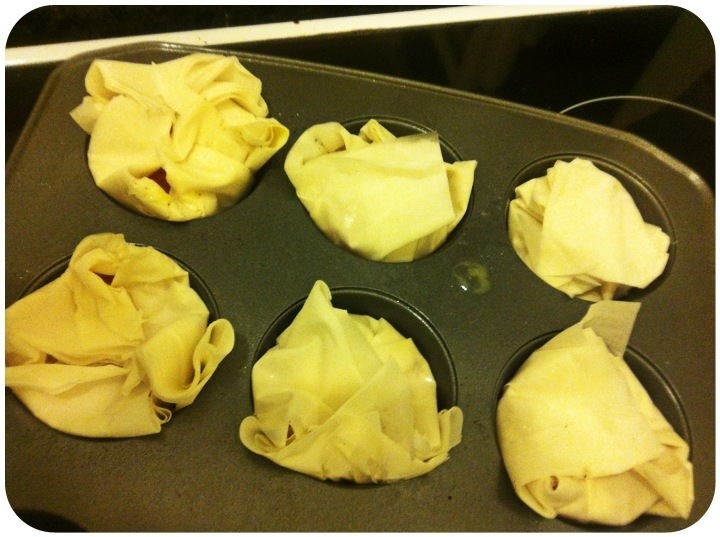 – lightly spray your muffin tray with the cooking spray to prevent the pastry from sticking. 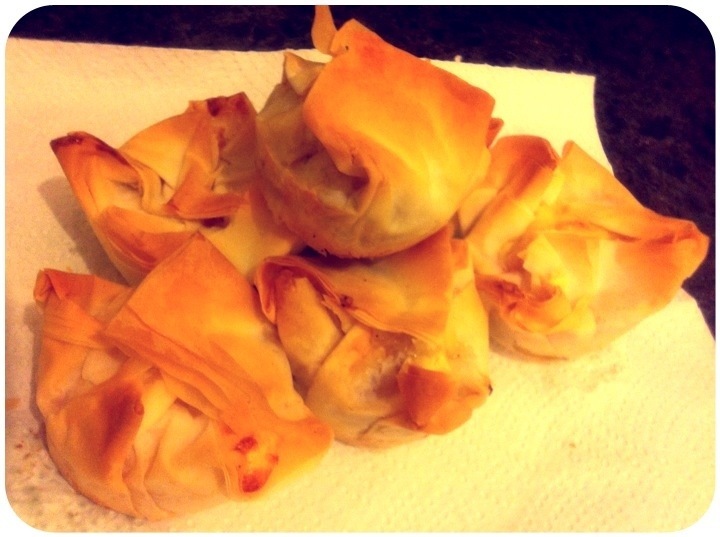 – slice filo pastry into squares quite a bit bigger than the cups in your muffin tray. This will be folded over once the cups are filled. Place the pastry into the cups, pressing down, but not right into curve of cup. 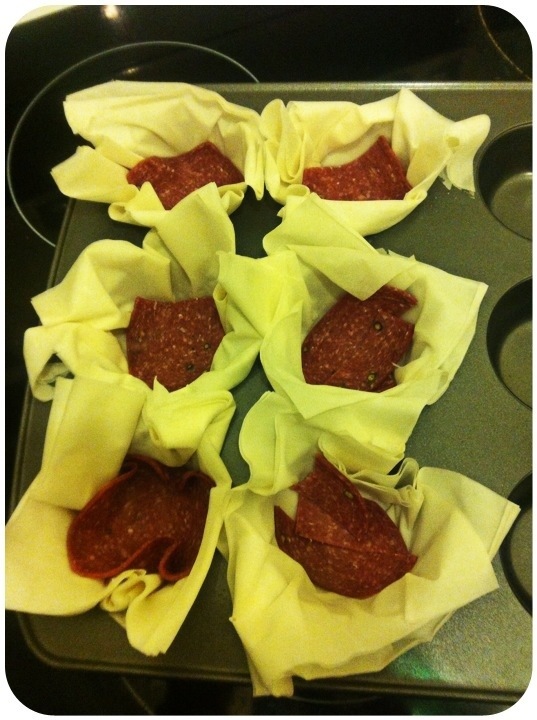 – place a slice of chosen meat in each cup. 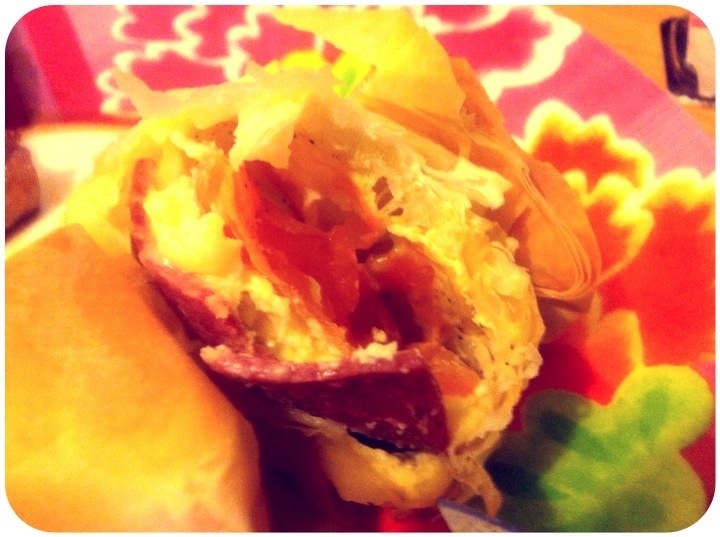 Salami was good, it meant I didn’t need to add any additional flavouring, but I encourage you to experiment! 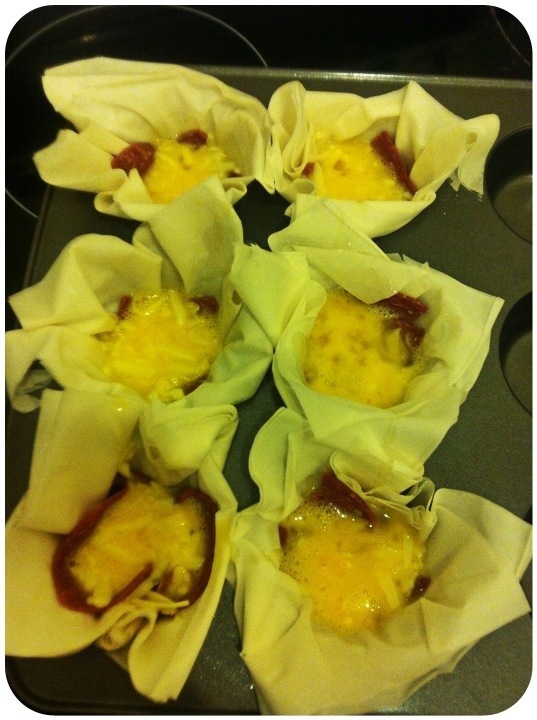 – crack eggs into a bowl and mix in cheese. Spread this mix evenly across all cups. Be careful not to overfill – the cups should be about half-full with the egg/cheese added. 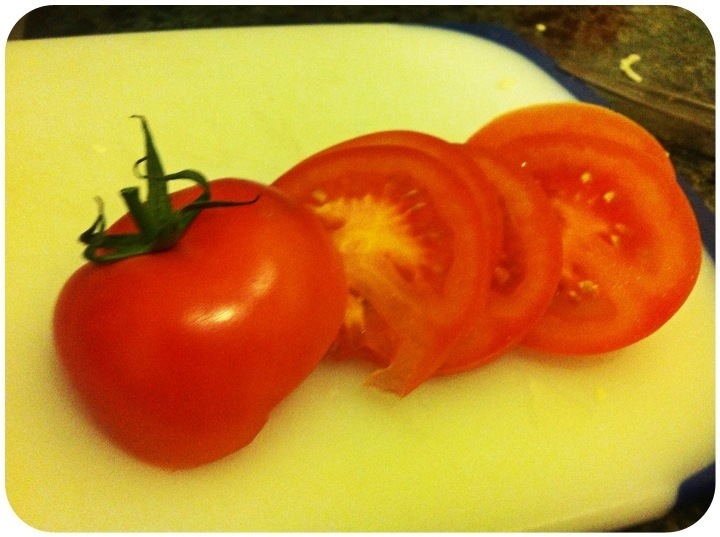 – layer a thin slice of tomato on top of cup. The thicker the tomato, the more likely you are to burn yourself when eating. Choose thickness to suit daredevil status. 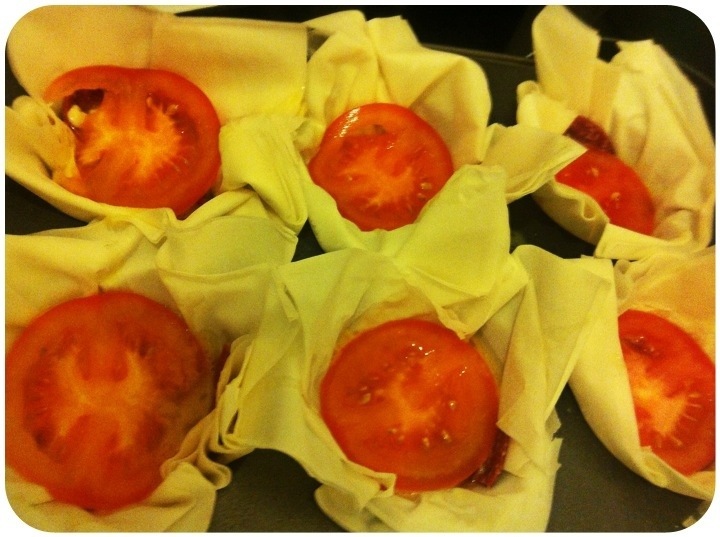 – gently fold over pastry on top of tomato. Don’t press too hard or you’ll lose your egg. – bake until lightly golden. Serve with salad for extra crunch. Bonus points if you invite me to dinner and share your version!